This sweet outgoing couple gave me the opportunity to photograph them last night, their silhouettes like statues set before the array of colors displayed at sundown. As the sun was setting last Summer, I captured this shot of Mt. Rainier. I'm extremely drawn to exploring this area; this highway is only open about 1/4 of the year due to road and weather conditions, so each year it holds something different and unique as the snow melts, revealing its new wonders each visit. I'm looking forward to what this year holds . . . 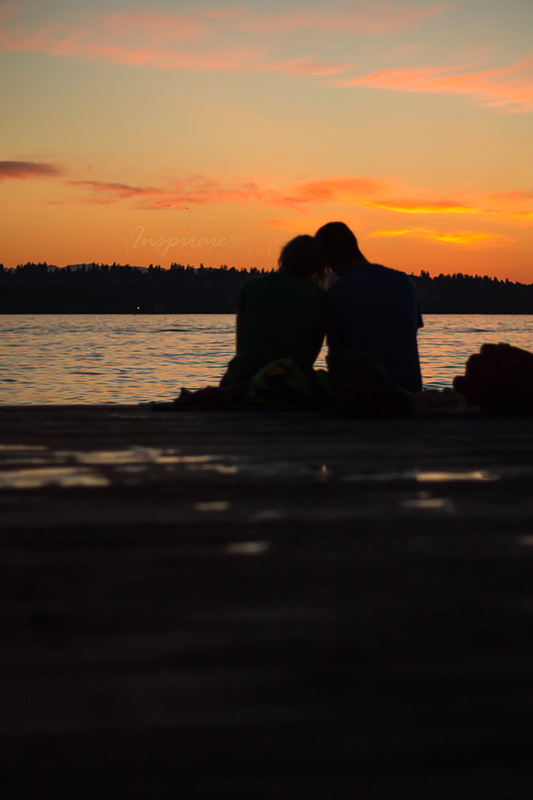 I took this shot a few nights ago in Kirkland and is entered in a photo contest at SCCA. I titled it Bene Velle meaning Wishing Well, as the iconic symbolism provokes my deep emotions for the patients, caregivers, and loved ones, treated at SCCA, and those in my own personal life who have succumb to the disease of Cancer. I was standing before Seattle as our sphere was turning its face against the transitioning colors over our evolving sky, and this single thought occurred to me; how lovely it was to be apart, but one, with it all - with our feet planted firmly amongst the dirt. As I looked over the water, glowing sky lanterns taking flight from the hill nearby - I thought, how lovely it is to have an escape from the epicenter of chaos; oh how perception so easily changes with such minor perspective adjustments.